We Buy/Sell Gaylord Boxes ME. If you are looking to buy used gaylord boxes, you’ve come to the right place. 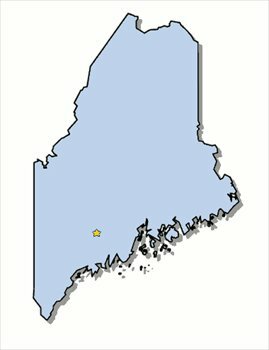 We sell gaylord boxes of all different strengths and sizes to customers across the U.S. – including Maine! If you’re looking to dispose of unwanted corrugated cardboard and gaylord boxes, we offer a complimentary removal and recycling service. We will pick up all of your boxes free of charge. We are always looking to buy lightly used gaylord boxes in the great state of Maine. If you have any boxes that you would like to sell, we will pick them up and compensate you for each individual box. We are actively seeking to establish partnerships in the state of Maine. We are hoping to establish connections in the cities of Bangor, Lewiston, and Portland in the very near future. While we do not have any immediate connections in the state of Maine, we have ample partnerships in states throughout the Northeast, specifically New York, New Hampshire, Vermont and Pennsylvania. Maine’s border with Canada provides a tremendous avenue for expansion because it provides a very sound transnational shipping lane. One of the most popular services that we can provide companies in Maine is our complimentary used cardboard removal service. 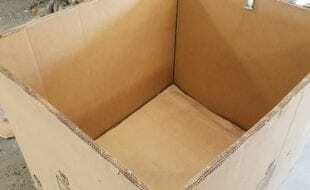 Upon completion of the Used Cardboard Removal Form, which is linked on the homepage, we will send a truck to collect your bulk amount of used cardboard and gaylord boxes. Additionally, if you would like to sell your gaylord boxes, we will happily purchase them from you. With that said, the boxes must be either grade A or B+. Lastly, if you’re looking to have lightly used gaylord boxes delivered, simply complete the box buyer form, and we will have your request sourced as quickly as possible. We look forward to doing business with you!